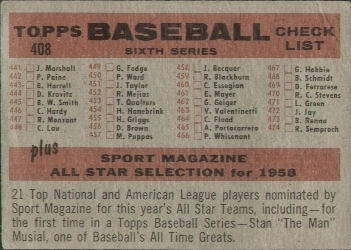 As we journey into 1959, Topps was starting to standardize how they printed their baseball cards. 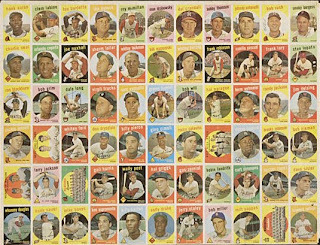 1958 saw a real slapdash final series (6th) and what I believe were four 110 subject printings made to look like five 88 card series prior. 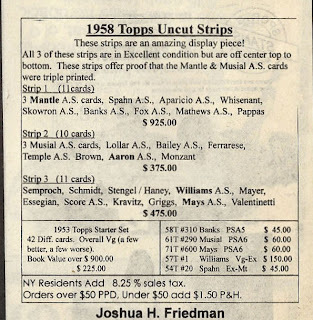 After their efforts to conclude that season's set, the Topps braintrust look have have really started planning out the best way to issue their cards. 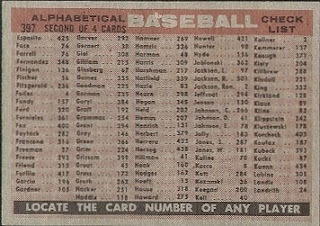 You will note this block of cards spans 66 numbers, from #375 (Niemann) to #440 (Burdette). 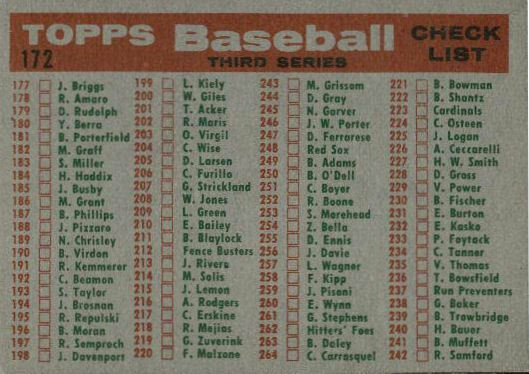 The checklists on the back of the team card in '59 would have us believe the 4th series ran from #353-429 and the 5th series from #430-495, so this group is smack dab in the middle. 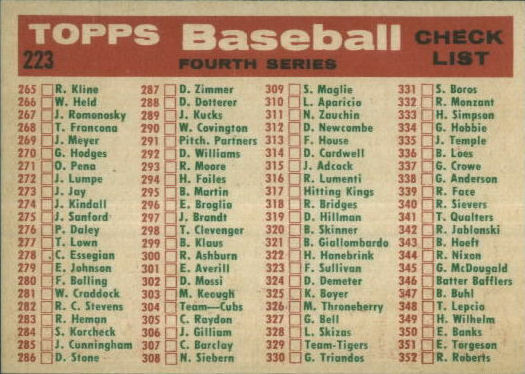 #495 was also the last number in the 1958 set, so I think that was an intentional move by Topps as they were going to expand the set by 77 cards for '59. From #1-506 the blocks are green, as was the text; I think the black looks much better. 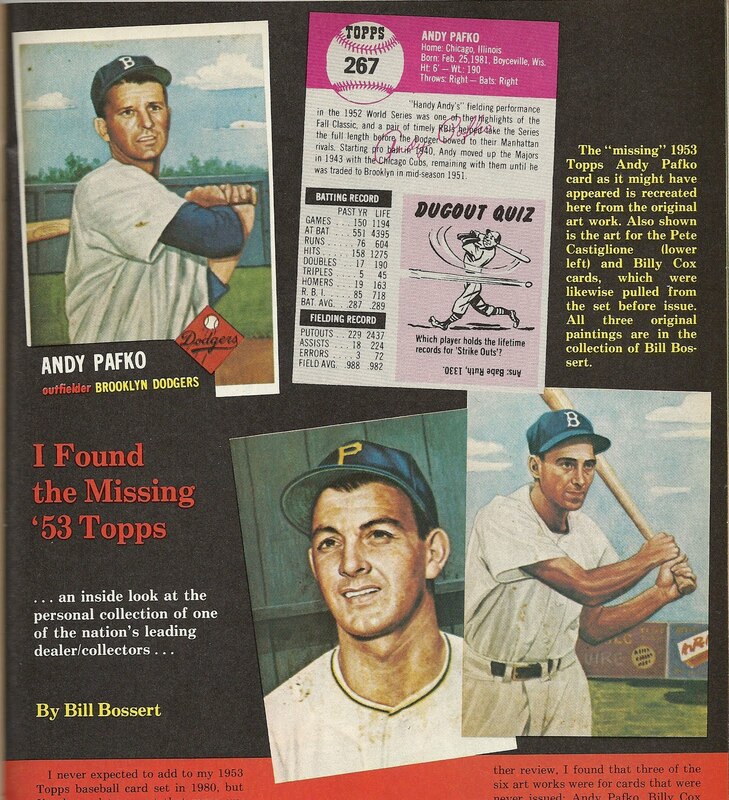 I wonder if the ink color was changed when Topps started printing the 1959 football cards, which also have black ink and may have been a move to expedite printing of the omega and alpha series of each respective set. I have a sneaking suspicion that Topps printed some combination of the 4th, 5th and 6th runs above together so have marked them with an asterisk but don't have the uncut sheets to prove it. They end up at at #440 though, through the "5th" run, which trues up in the real world as the previews would get get too far past the press runs otherwise. 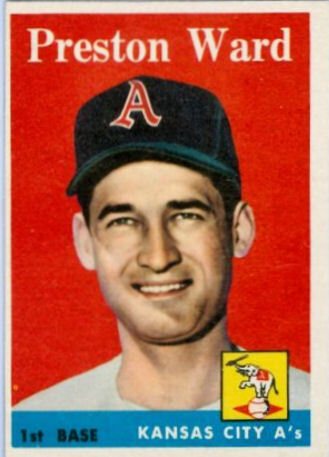 This is where they caught up in 1958 as well. I have to think a bit more about the implications of two 66 card semi-high series being printed separately. Those black number blocks begin after 11 with the green blocks if you go by the official count. I do not believe those 11 cards from #496-506 were printed with the rest of the high numbers but if you are selling cards the kids are already buying those 11 before the last series comes out. Boy, I'l l bet they wanted to complete that run badly! You get the idea. 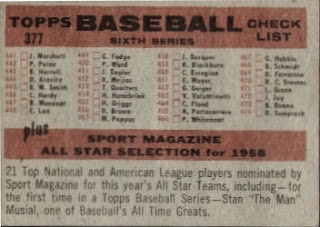 Topps was using the Theory of Checklist Relatvity once again but with a bit more forethought than in '58. 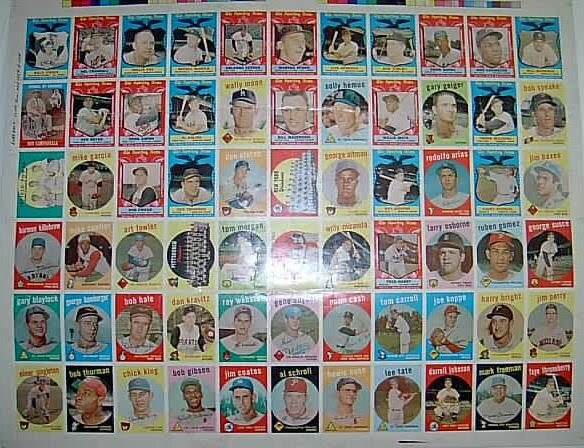 I thought I would continue my haphazard look at uncut Topps sheets and the 1958 printing arrays as I found this 55 card partial from the year Elvis got drafted lurking on my hard drive. There is a little bit of a tieback to the Series Preview and Checklist Relativity Theories as well! 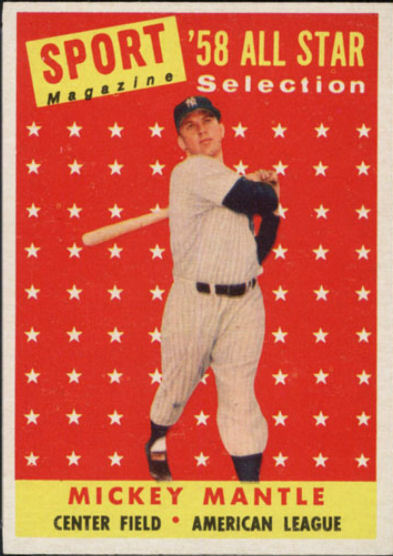 I believe Topps loaded up the first series with stars now that MLB was bi-coastal. That is not the most interesting thing about this sheet though. 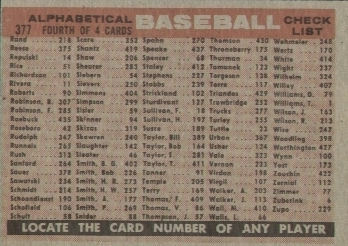 No, it does not have yellow letter variations either but what it does have is card #1 (Ted Willliams) and #110 (Johnny Logan) on the same partial sheet of 55. 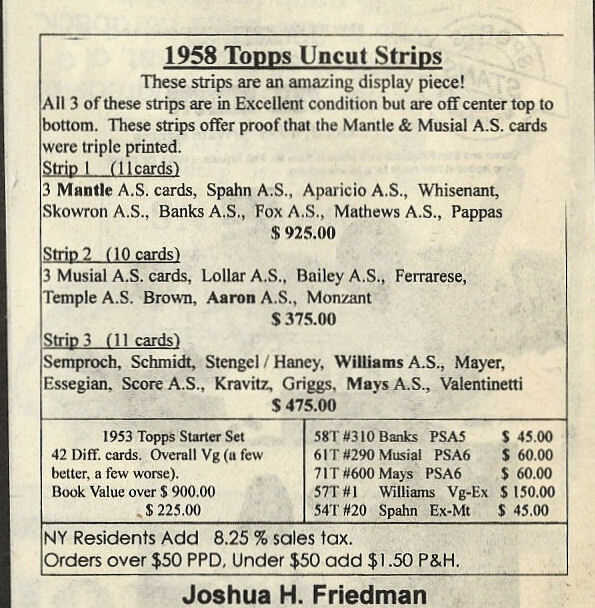 This clinches for me the fact Topps was previewing 22 cards from what they were calling the 2nd Series while printing at least 110 subjects on the first series sheet. I say "at least" but if I had a full sheet scan it would likely confirm 110 different cards. See, it goes to 88! That would have been confusing as you had no idea what had happened or who it was supposed to be. If you do the math, you end up with five series of 88 printed over four sheets, ending at #440. A little teaser for the kiddies back in the day and some proof of my wacky theorems today! 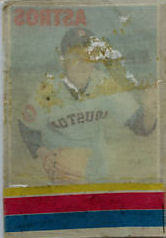 Odd Clemente items are nothing new here but I am scratching my head on this bad boy. 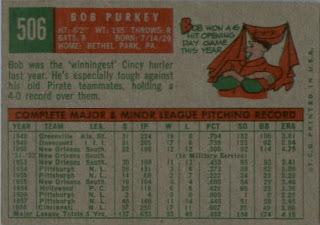 This style of pennant does not appear in any of the guides I have(and I have a few) but the Buccos mascot dates to the 1960-67 period, according to Chris Creamer's sportslogos.net. 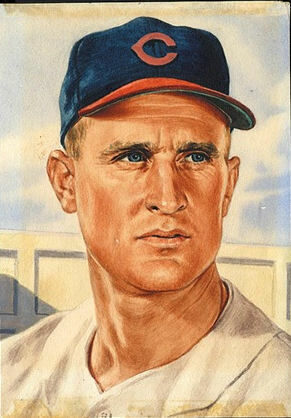 The version here is missing the crossed bats below the head but looks pretty close otherwise. 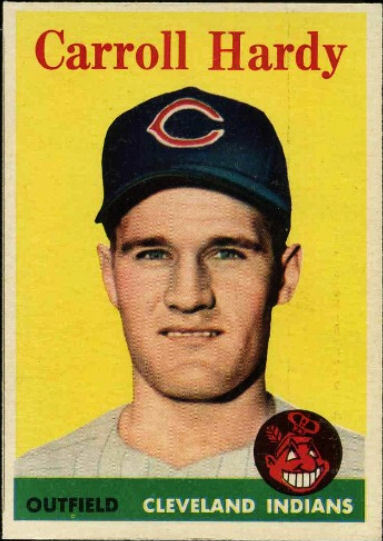 So the logo dates to just before 1968 and the pennant seems ideally suited for a 3-D card to be displayed. Could this actually be a type of an internal Topps presentation? Is it a piece created after the fact by a third party? 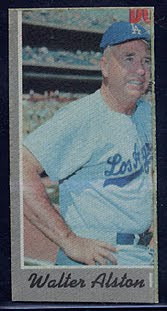 If another team could be found with a 3-D card attached, I would lean in the direction of it being a Topps prototype. Curiouser and curiouser. 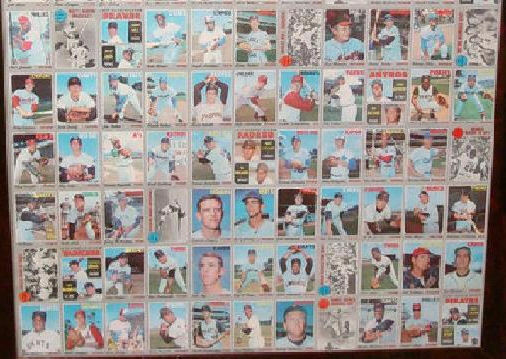 About a year ago I posted on the ultra rare 1970 Topps Cloth Baseball Stickers. A bit more information on the players included has trickled out since then and I have had some time to think things through in the interim. This is an amalgamation of a couple of theories discussed to some degree on Net54 (a link is proved at then end of this post) but it's the first chance I've had to consider at length what is known and what is not concerning these elusive stickers. 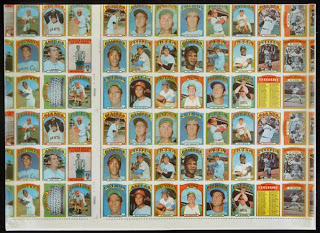 If you click back to the prior post you will note the 1977 Stirling Guide mentions 66 stickers are known in the set and we know the extant examples are numbered within the second series of issued cards. I do not think there are necessarily 66 possible stickers at this point, though they all definitely come from the 2nd series. More on this in a moment. That is from the collection of Bob Fisk by the way, as are all individual shots of stickers in this post I believe. I can't find a scan of Nye right now. 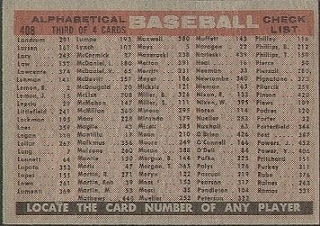 Now, based upon the Stirling reference and the known checklist, the 66 card chunk I will show below (part of a series of sheets scans sent by Friend o'the Archive John Moran) reveals what I consider to be the possible universe of players in the cloth set. 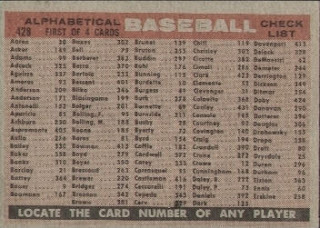 But let's first note the 1970 second series was printed on a 264 card master sheet that ran from #133-263 (plus 4th Series checklist #343) for a print run of 132 cards and featuring two similar 66 card blocks on each side. I would label this an A/A B/B pattern as each side has 66 double printed cards. I am not sure why the Lemaster pose was changed for the cards as he did not leave the employ of the Astros from 1969-70. 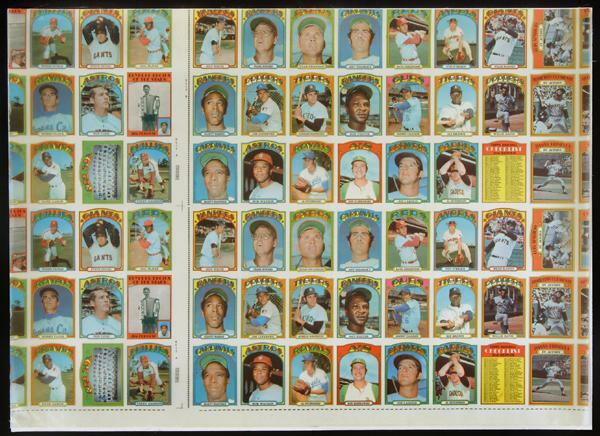 What I am becoming sure of though, is that some of the cards in the "block of 66" used to make the stickers are not known and that there is a pattern that shows why. If you visualize the sheet with six letter rows (A-F) and 11 numbered columns, the A and B rows contain no known stickers. That brings us down to 44 possibilities I think. This means the entirety of all known, complete stickers come from rows C-F and columns 3 through 9, leaving 28 full sized candidates for the set (as likely constituted) and as theorized previously on Net54 by both Bob and John, who deserve the credit for the 28 card theory. 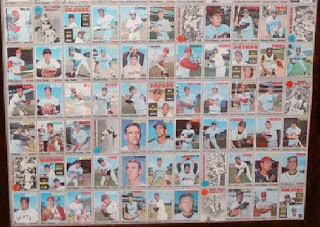 I do think it possible the partials could exist in full form but have no evidence yet of this so we have the likely 27 known full stickers to contend with and one (the Padres Rookies) highly probable example that remains unknown, at least to me, at this time. 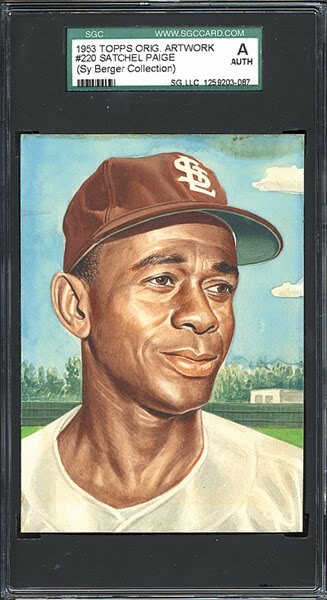 Of those, #243 Sparma would likely show his old team, the Tigers, as he too was traded (to the Expos) in early December of 1969. It's odd all four potential pose variations feature pitchers! You can also go here for more details and scans from the original Net54 posts. It would be great if the Padres Rookies sticker surfaces! 6 cards obviously are missing from the 1953 High Numbers, likely due to contractual issues with Bowman. 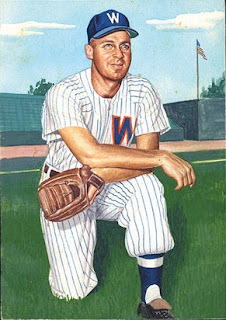 Max Lanier was released by the Giants on May 15th so his card may have been withdrawn due to the fact he was no longer with NY. Ken Wood's final game with the Senators was on May 23rd, whereupon he was either released, sent down or quit (can't tell). 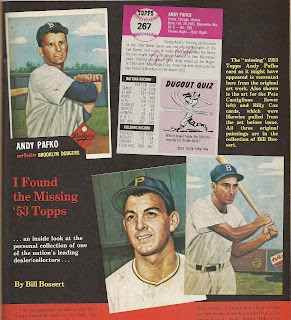 Pafko is shown as a Dodger (ignore the ersatz card back created for the article) and the author speculates he was pulled due to his preseason trade on January 17th to the Braves. Castiglione was also traded but not until June 14th. 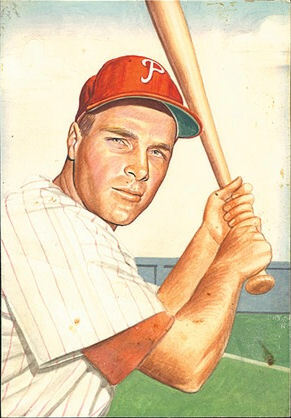 Ashburn was Topps in 51, 52 and 54, Bowman from 49-55. 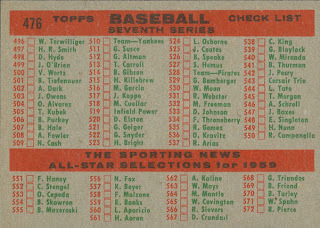 Brecheen was Topps 51, 52, 54 and 55 and in Bowman from 49-52. 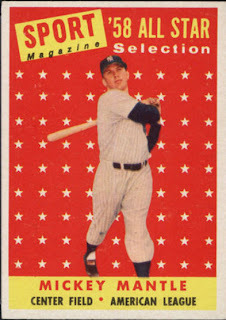 Castiglione was on 52 Topps and Bowman from 50-52 and 54. Cox was in 51 and 52 Topps and was Bowman from 49-55. 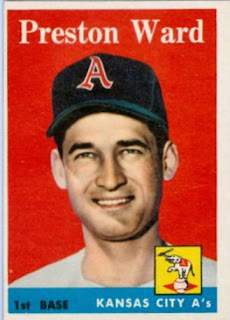 Lanier was 52 Topps and 50-52 Bowman. 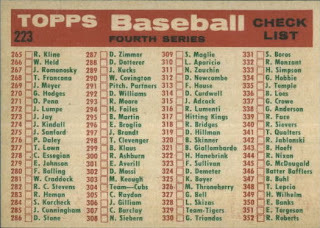 Pafko was in 51,52 and 54 Topps, 49-55 Bowman. 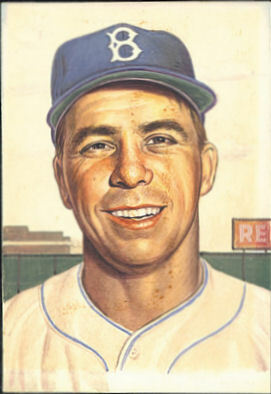 Tipton appeared in 52 Topps and Bowman from 49-51 and 53-54. Wood was 52 Topps and 50, 51 and 53 Bowman. So if Lanier, Wood and Pafko were pulled due to team changes, that leaves five and possibly only four paintings to fill 6 slots, depending upon the Castiglione timeline in respect of the card production. 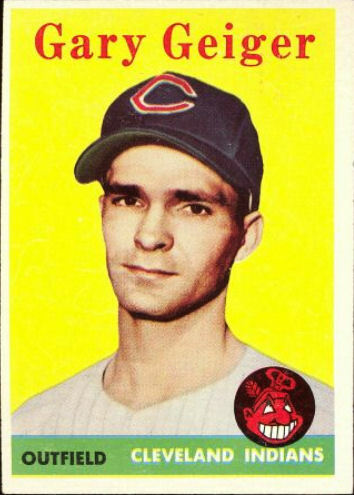 Ashburn, Cox and Tipton look to have had iron clad Bowman contracts and Brecheen and Castiglione may have had such bad luck they could appear in neither set (depending on the trade timing, of course with Castiglione). Wood may have been Bowman bound as well and was shown as a Senator in the 53 Bowman color set. Lanier is a tossup but I would lean Bowman contract with him but he could have had the same fate as Brecheen and Castiglione. 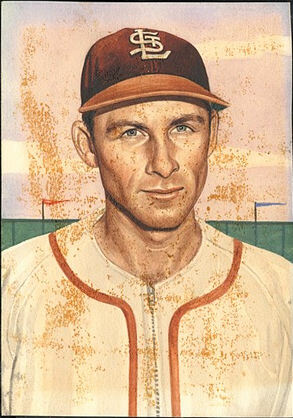 Pafko looks possibly Bowmanesque as well and appears as a Brave in the 53 Bowman B&W set, which was presumably issued after the color cards. 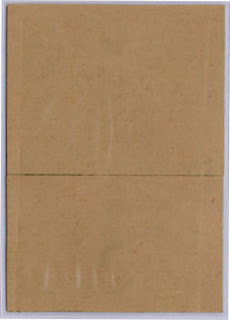 Has anyone ever seen evidence of any other unissued 53 artwork? I feel like there should be at least one more painting out there, if not two. 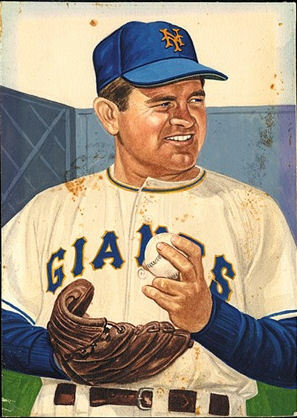 Interestingly, the article in Baseball Cards by Bill Bossert indicates he also purchased three paintings of issued players at the time. This gives us at least 121 known paintings that were issued and 8 that were unissued, so of the 282 paintings (at a minimum) that were created, just over 42% have been confirmed as still in existence. 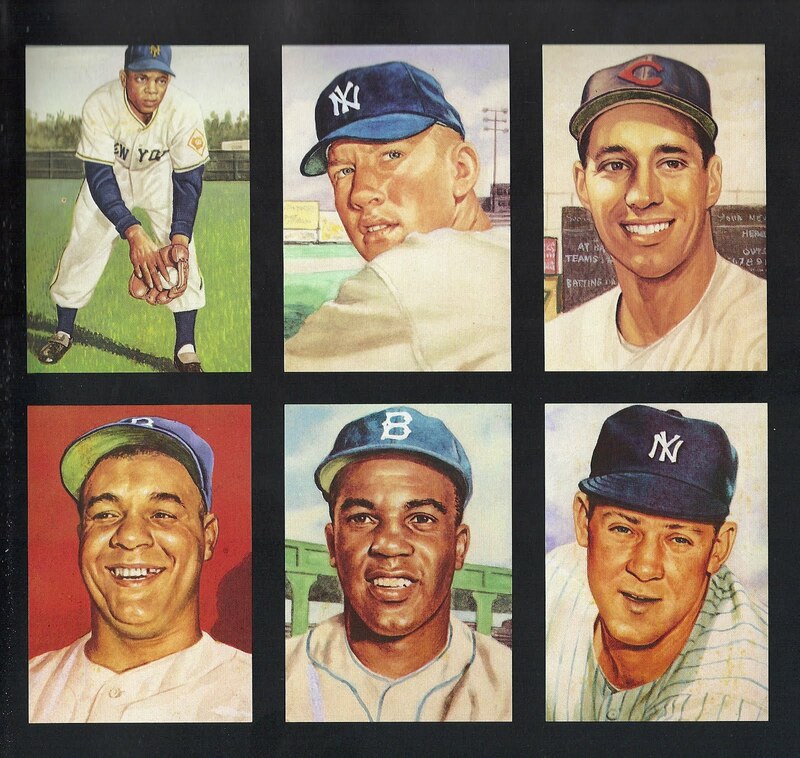 REA's catalog reveals some were given to various executives at Topps and MLB and no doubt a few players probably finagled some over the years so I don't expect we'll ever have the full set reconstituted in aboriginal form but it would be a righteous thing to see. 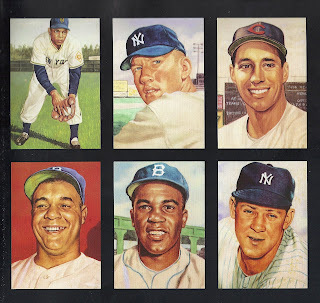 Now that the annual, mind-boggling REA auction has passed, a look at the 1953 Topps baseball card original artworks offered therein appears in order. First though, as we are wont to do, we must look at the past. Those six paintings were not accompanied by common players within the pages of the auction catalog and it always bugged me that more were not available. Well, it turns out there was a good reason for that; they were in Sy Berger's basement. REA's auction featured a whopping 112 paintings used way back in '53! 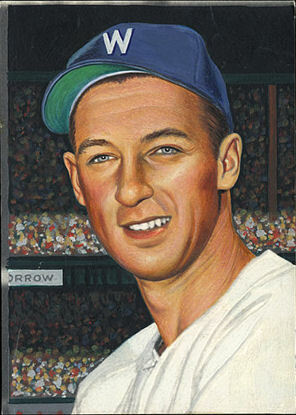 That means 118 of the 274 paintings used to create the 1953 baseball set have been disseminated in the hobby. 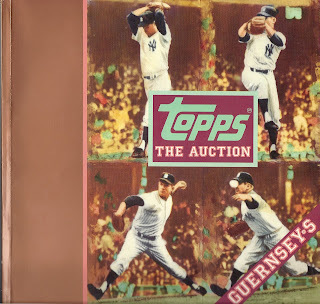 The artwork was originally to have been in the 2009 REA auction but pulled before being offered; I have to suspect the current ownership of Topps took issue with Mr. Berger reaping all of the proceeds and a deal amenable to all parties was finally worked out. The original art measures about 3.25 by 4.75 inches, or about 56% larger than the actual cards and many of the paintings had glue remnants from the production process marring their surfaces. There seems to be some variance in sizing as well, so the whole process was likely more haphazard than the well-organized auction lets on. Oh, did I mention there were five unissued players included within? I'll be a tease once again and save those for next time. I'm off to the warmer climes of Ft. Lauderdale for a bit of well deserved R and R but will have more for you all on the flip side! In our last adventure, I left you all hanging a bit on the 58's but with good reason. There is another facet of the Theory of Checklist Relativity to be touched on, namely variations on the cards proper. You will notice that those cards are out of sequence; the highest shows the low part of the alphabet and vice versa! 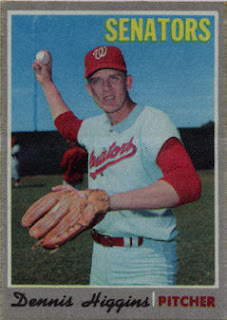 Now I am looking at a 66 card semi high series but there is a germane question I cannot answer. 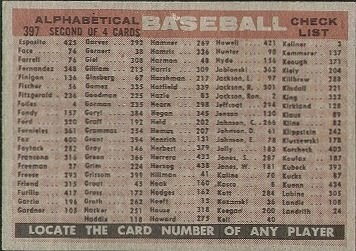 Were all five first series cards printed in 88 card runs or did the first run have 110 cards in it, thereby previewing 22 cards from the next series until everything comes back together at the end of the (66 card) fifth series? Don't forget all the major price guides show a 110 card first series so the next series preview theory may be viable. Why is this germane, you may ask? 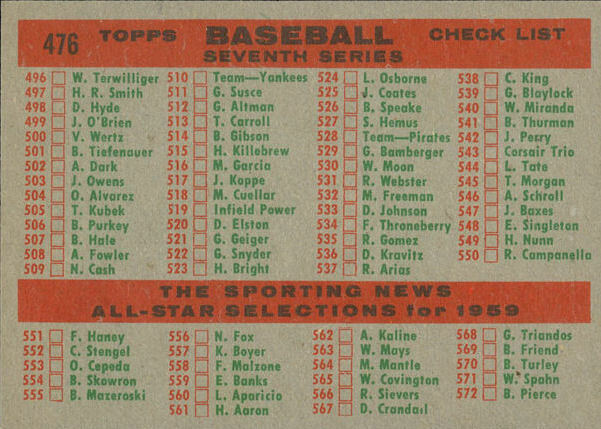 Well the four team card checklists above obviously have numerical counterparts which have a 7 or 8 times price kicker when compared to the alphabetical versions. 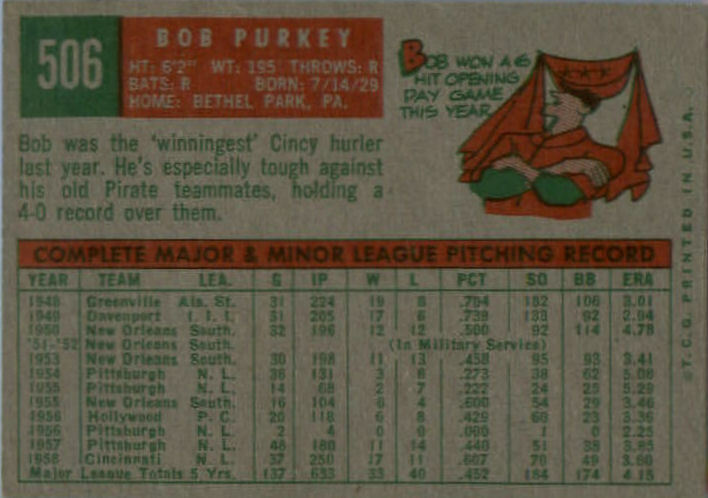 That indicates a definite and deliberate short print pattern on the numerical backs. 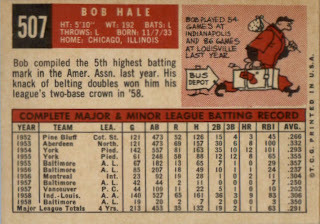 If they were printed in a single series, locked in run of 88 cards (i.e. 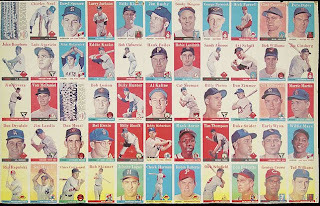 the series and the run match up excatly from one through five) then there would be three of each team card front on a 264 card master uncut sheet. Then, in a scenario where the A/B/A B/A/B pattern is at work, one 44 card batch of cards could contain the four team cards with numerical reverses. Conversely, a 66 card series run on 264 card master sheets would yield identical A/B patterns of 66 card substrate. However, a third choice presents itself. 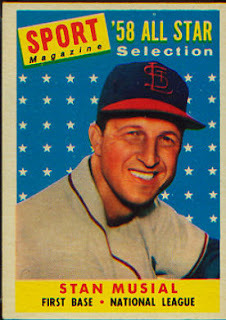 What if Topps only planned a set of 440 cards in 1958 and then they managed to sign Stan Musial with just enough time to rush a card of him out? 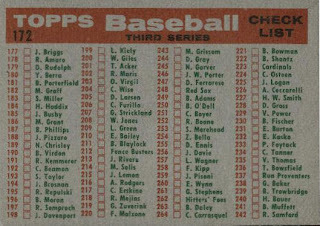 The alphabetical lists stop at 440, indicating finality to the planned set. Topps obviously made a big deal about signing Musial out of the regional card wilderness in 1958 (he had not appeared in a nationally distributed set since 1953 Bowman) since they advertised this fact on the four numerical team card backs from the 66 card semi high series. 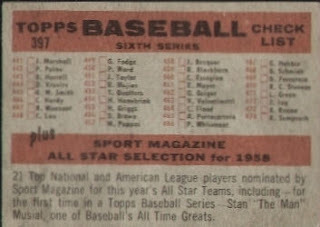 Finally, the '58 high numbers are readily available and do not command any significant premium, indicating a full run of cards was printed after the first 440. 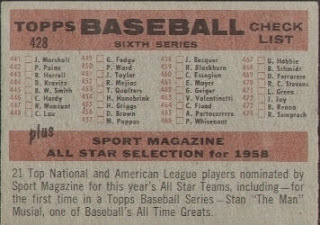 If that's the case, then it seems clear they had no time nor the stable of players (there were only around 400 active roster major leaguers in 1958) to compose a full 55 card series so the braintrust at Topps came up with the Sport Magazine All Star cards so they could get Stan into the set at the last minute and also fill out the high numbers. The timing of this indicates Musial's signing had to come after the All Star selections were made in 1958. They also added 34 no-names (at the time) to the 21 All Stars to give us a 55 card high number series, most of whom had limited playing time prior and therefore required minimal stats on their cards. I admittedly have not researched the service time of each of these 34 players and don't own any '58 highs but the names don't seem to include too many veterans. This brings us back around again to the short printed numerical backs. I think it likely that once the final 55 card series was green-lighted that the final run of semi highs resulted in a change from the alphabetical checklists to the numerical ones with the Stan Musial announcement and then maybe just one side of the full master sheet at that. Those are all courtesy of Mr. Goodman by the way. 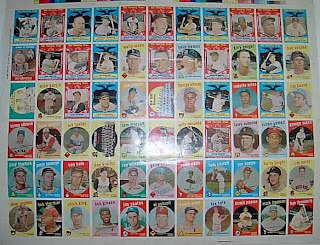 By the way, the array of the Mantle and Musial cards seems to indicate Topps cut and packaged cards based upon the vertical columns and not the rows. 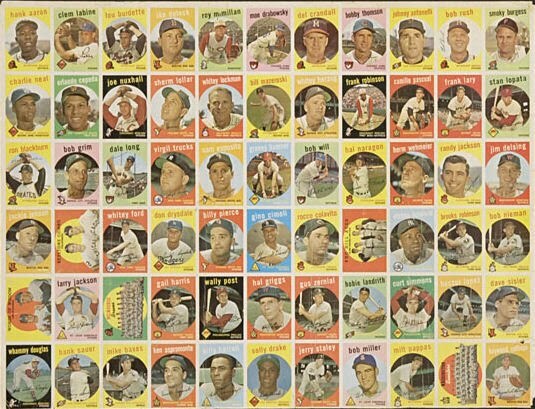 Had they been horizontally focused, the triple prints would seemingly yield to poor distribution in the packs. Intriguing. 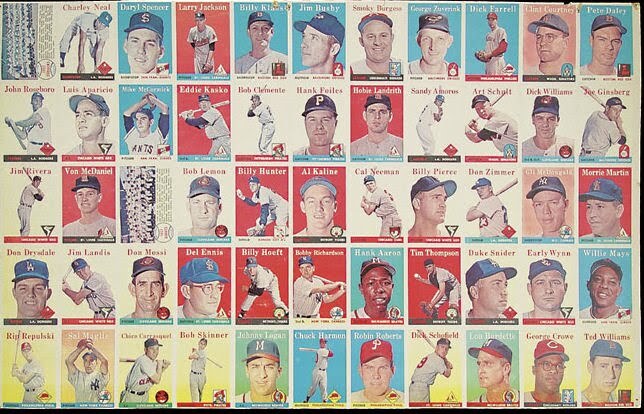 I would also offer that, given the low price kicker on the short printed cards (only about a third more in value than a regular high number common) one half sheet may not have lost the rows with the four players shown above. There are also variations in the low numbered cards involving team and player names being white or yellow but that is definitely fodder for another day. 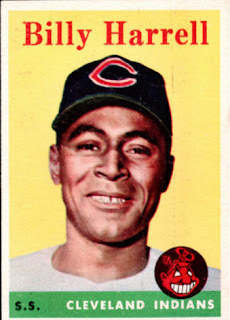 And don't forget the Pancho Herrera "error" card, which I think is merely the result of a printing mishap and will also have to wait for another post.